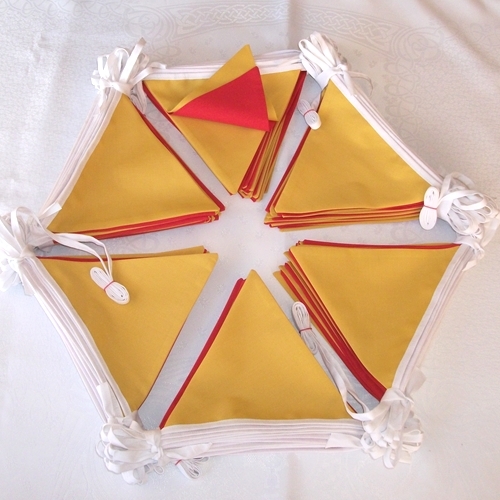 We offer a made-to-order bunting service which is especially suitable for weddings and special occasions, including christening parties and anniversaries. Our pick and mix colours bunting is also ideal for businesses, schools and charities to use in special events such as new business openings, fetes, garden parties, etc. Our popular pick and mix colours bunting allows you to choose your own single colour or multiple colour combinations – Our standard length for bunting is 10m, but we are happy to make other sizes, if this is preferable. There are over 30 stock colours to choose from. As a guide to help you choose your own colours, you can view our pick & mix colour chart. Colours available include: beige, dark beige, black, light blue, navy blue, royal blue, sky blue, brown, burgundy, cream, gold, bottle green, emerald green, lime green, mint green, ivory, jade, lemon, pale lilac, lilac, light orange, orange, peach, pink, hot pink, purple, red , silver, turquoise, light turquoise, white, yellow. If your desired colour is not on the list or you would like further information, please email or telephone us for assistance. We aim for fast delivery and will complete all orders as promptly as possible, usually within a few days. 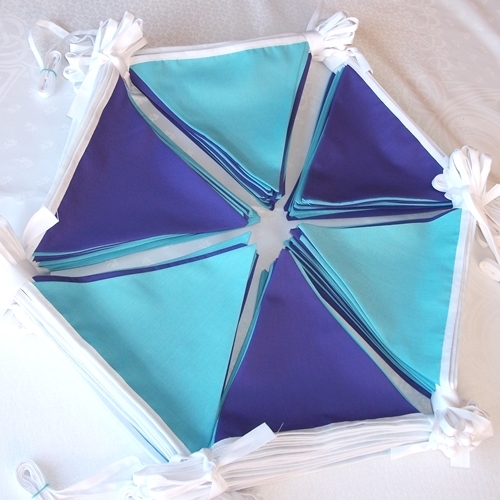 For urgent orders, we will do our best to expedite the making of the bunting and can also make arrangements to send it by courier or special delivery at an additional charge. 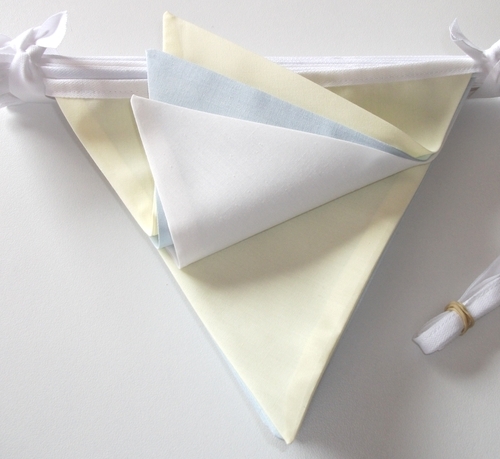 Samples of colours can be ordered here Colour sample Please note that custom made bunting is non returnable.